Banners for indoor use are just a little different than outdoor banners. First of all, you will want to use a matte finish vinyl so that you don’t have glare trouble. Glossy vinyl works great outdoors in the sunlight, but you’ll inevitably get glare from some angle with indoor lighting. Matte vinyl breaks that glare, as you can see in this photo. Secondly, a lot of the fixturing problems of outdoor banners go away indoors. Thank goodness! We don’t have to worry about the wind and rain, and that make things a little easier. We like to use pole pockets for indoor banners, since they allow everything to hang nice and straight. 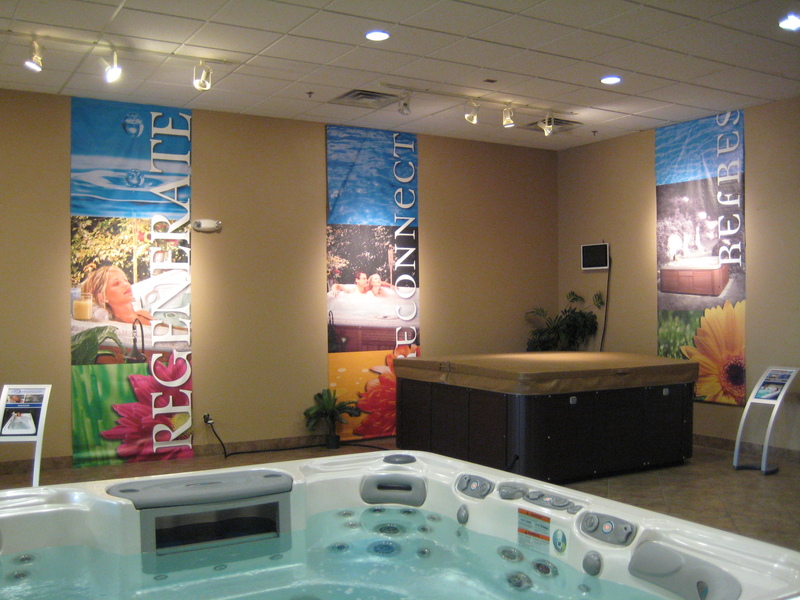 This entry was posted in Vinyl Banners and tagged display banners, indoor banners, showroom banners, store banners. Bookmark the permalink.